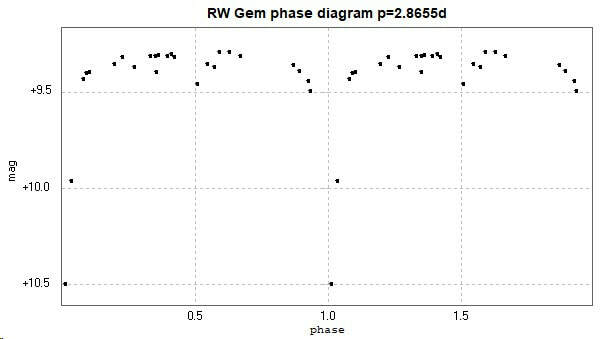 Light curve and phase diagram of the EA type eclipsing binary RW Geminorum / RW Gem. 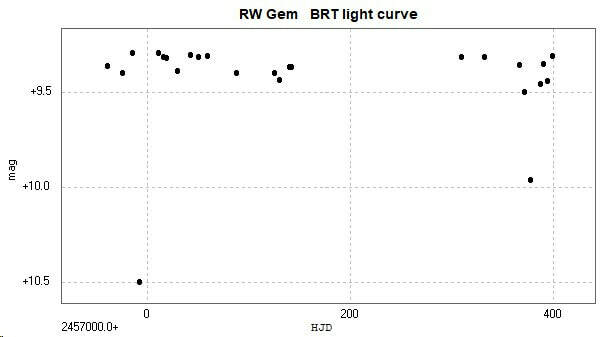 These were constructed from 25 images taken with the Bradford Robotic Telescope Cluster Camera (BRT) between 2014 October 30 and 2016 January 11. The images were taken through a tri-colour green filter.